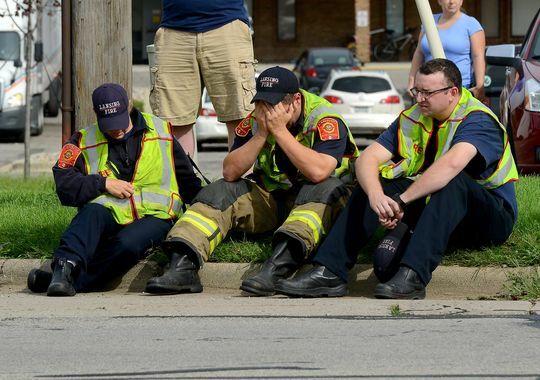 Lansing firefighter Dennis Rodeman died from injuries he got when he was hit by a truck while collecting for a charity at the corner of Jolly Road and Cedar Street on Wednesday afternoon. Lansing police tell wilx.com Rodeman had some sort of confrontation with a man in a white Chevy S-10 pickup. The truck drove off then circled back and hit Rodeman. A 32-year-old suspect is being held on charges of leaving the scene and fleeing & eluding.